I set myself up this weekend so that I could spend Sunday in my craft room but I have been sitting here all morning coming up with nothing! It’s been like pulling teeth! I made this card yesterday. 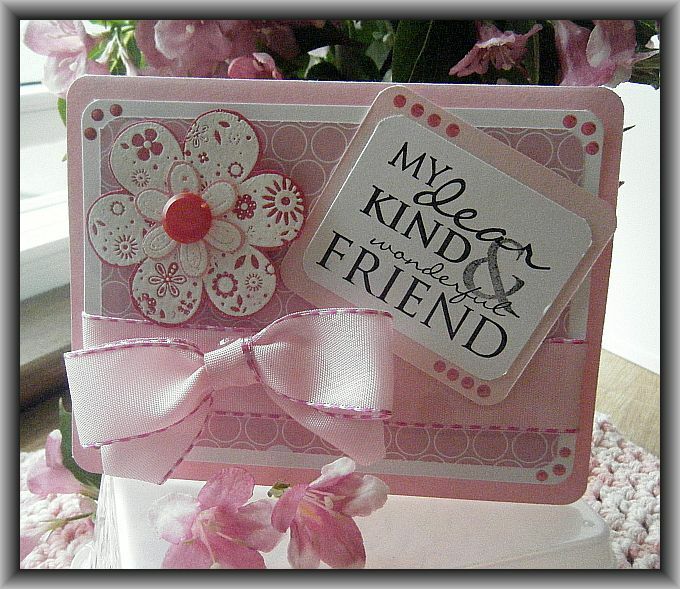 I have had this Printed Petals stamp set from Stampin’ Up! for ages but I have just really begun to play around with it. Here it is in blue…. 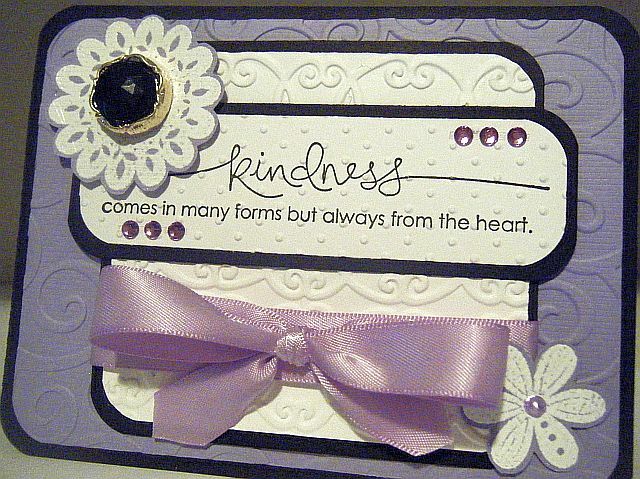 I am entering this card in two challenges this week on Splitcoast Stampers. I felt pretty intimidated to enter this one as this is the first time I attempted to play along with one of the Dirty Dozen challenges. I am pretty happy with how it turned out…. 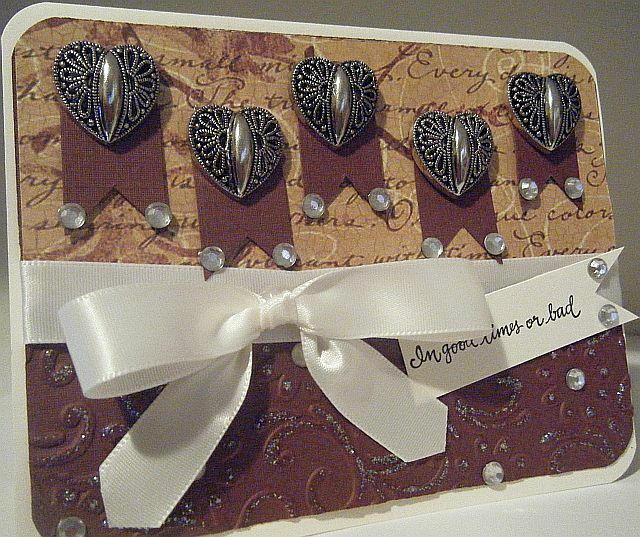 The stamp set I used is from Stampin’ Up – Absolutely Fabulous. Splitcoast Queen for the Day…. I made this card in honor of Vicki, Splitcoast’s Queen for the day. This is the second card I cased from her lovely gallery. Here is the card I chose to case: http://www.splitcoaststampers.com/gallery/photo/1475746?&cat=500&ppuser=193158 As you can see I changed up the colors and flowers. 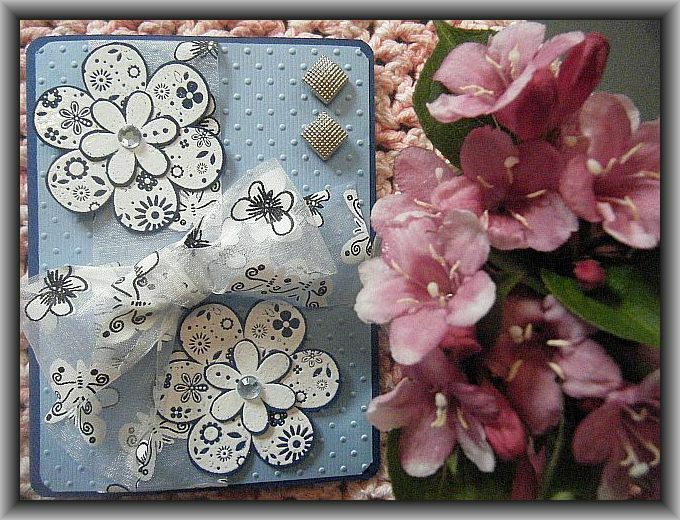 I heat embossed the flowers using bright white embossing powder. The stamp sets I used are both from Stampin’ Up! – Printed Petals and Heard from the Heart. Okay, you know you have a problem when you pray for good weather all winter and when spring finally rolls around all you get is nothing but rain and cold damp weather. So as soon as the sun starts to show up FINALLY…. what do I do??? Start making Christmas Cards!?!? This really proves that my cheese is sliding off my cracker! LOL! 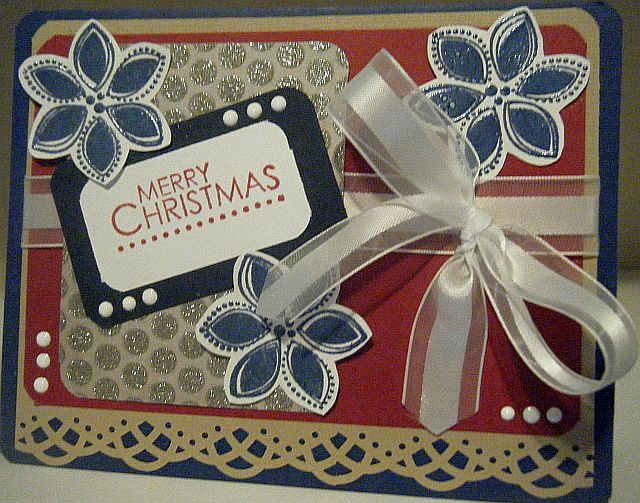 Here’s another card I am entering in this weeks Splitcoast Christmas Card Challenge as well as the Color Challenge. 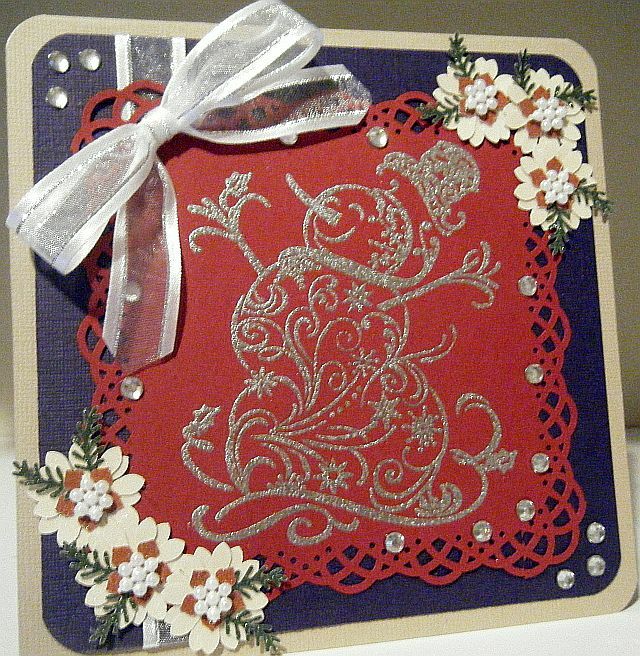 The stamp set I used is from Inkadinkado – Filigree Snowman. I heat embossed it with Stampendous Silver Tinsel Embossing Powder then punched out some little flowers out of cream colored glitter paper and stamped out the leaves in dark green glitter paper. I will be submitting this card to the Christmas Cards Challenge on Splitcoast as well 🙂 The stamp set I used is Stampin’ Up! – Season of Joy and I used a Martha Stewart boarder punch. Was there life before Stickles? Another set of Christmas cards I made for the Splitcoast Christmas challenge. Again I used the Stampin’ Up! Season of Joy stamp Set. I love the tree all dressed up with Stickles. Hopefully you can see how the Stickles sparkle on the trees.